How can we support older Maori (kaumātua) to cope with significant life transitions? 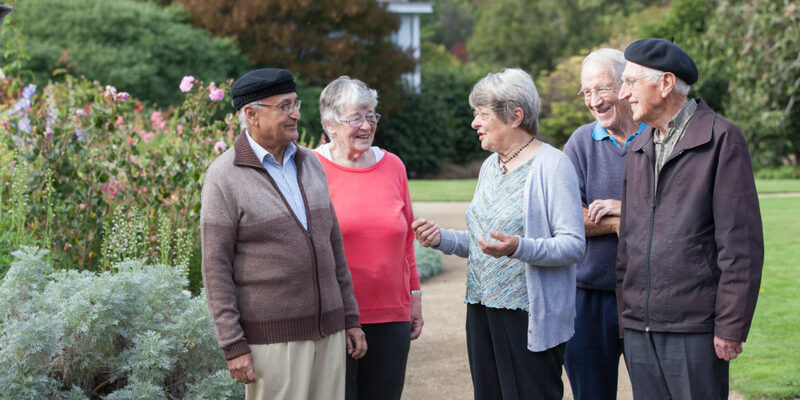 This is the question at the heart of Ageing Well-funded research undertaken between the Rauawaawa Kaumātua Charitable Trust and the University of Waikato. And attendees at the pre-conference of Ngā Pae o te Māramatanga in Auckland on Monday were treated to some answers from researchers Rangimahora Reddy, Hoki Purcell (both Rauawaawa) and Professor John Oetzel (Waikato). Their research focuses on tuakana (older/experienced kaumātua) guiding teina (younger/less experienced) kaumātua through significant life transitions. The most challenging life transitions are when a spouse passes away, followed by a change in health (e.g. loss of independence), which alters how life is lived. The programme seeks to enhance social and health outcomes for kaumātua by supporting them to navigate these difficult transitions. 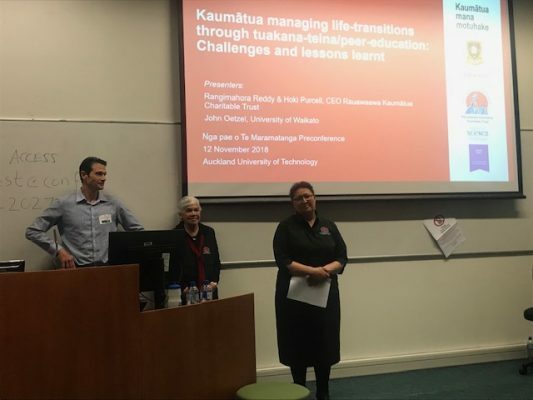 The researchers developed the kaumātua peer-support programme, with an orientation followed by three conversations between the tuakana and teina. The programme is kaumātua driven and wairua is at the heart of the relationship. Focus groups report that the programme has had a positive impact on their lives.